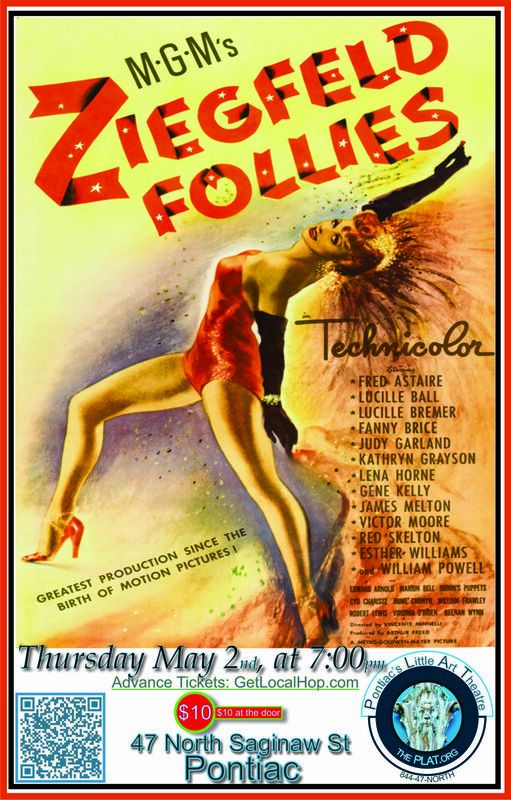 ZIEGFELD FOLLIES (1946) Rating: NR The glamor of the "Old Days" ! Stage sets the size of football fields, enough fabric to circle the world 3 times... Most of all, the costumes. Digital effects not spoken here! In heaven, showman Florenz Ziegfeld Jr. fondly recalls his first Broadway revue, the Ziegfeld Follies of 1907. Even from heaven, he is hoping that he can, for one last time, create that same magic by mounting one last follies. As he thinks about who he would like to appear in these follies, he is assisted in realizing his fantasy, at least in his own mind, by such luminaries as Fred Astaire, Edward Arnold, 'Lucille Ball', Marion Bell, Lucille Bremer, Fanny Brice, Cyd Charisse, Judy Garland, Kathryn Grayson, Lena Horne, Gene Kelly, James Melton, Victor Moore, Virginia O'Brien, Red Skelton, Esther Williams, Keenan Wynn, and, of course, a bevy of beautiful girls.